In a food processor, combine garlic, chili peppers, ginger, cilantro, lime zest, and olive oil. Blend until the mixture turns into a paste. Transfer to a medium bowl and whisk in coconut milk and lime juice. Season with salt to taste and set aside. In a large pot, bring white wine or beer to a boil over medium-high heat. Add mussels and pour the cooking sauce over. Cover and cook the mussels until all of them are open, about 5-7 minutes. Shake the pot a couple times during cooking. Remove from heat. 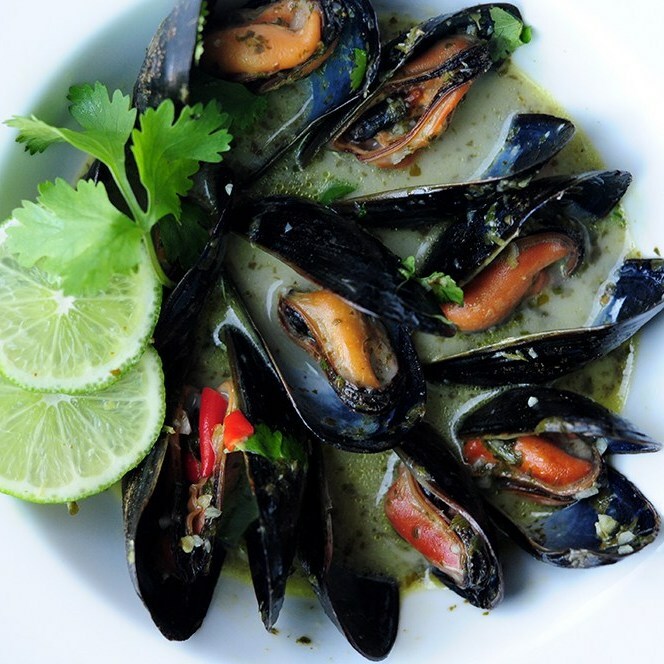 Spoon the mussels and broth into serving bowls and serve with crusty bread. Enjoy! 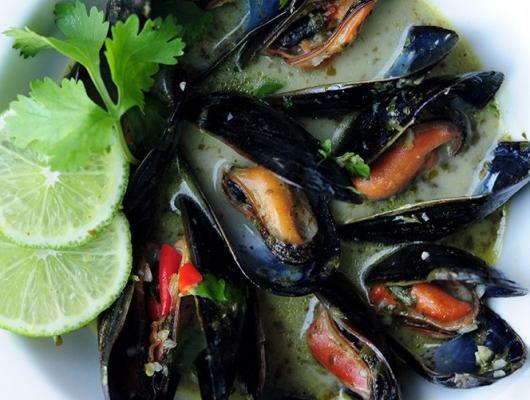 Quick and delicious mussels steamed in white wine along with a spicy and creamy Thai-style cooking sauce.